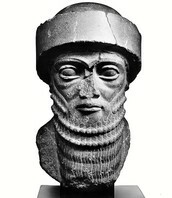 The Code of Hammurabi was place in the time 1795-1750 BCE made by king Hammurabi. It consisted of 300 recorded laws all curved in stone so it cant be changed by the king. These dealt with things like family, criminal, labor, property laws the punishments differed from male or female. Most of these laws were very harsh but some were just little basic things. For example, if you are a women who is having affair they will kill her and her lover. Another example is if any one commits a robbery and gets caught they will be killed. There are rules against children as well like if a son disrespects his father they will cut of his hands. The British north america act was created in Canada in he year 1867. this was made by Canadians at a conference in Quebec in 1864. The British parliament did not pass this law in 1867. queen Victoria signed the British North America Act on march 29, 1867. it became to use on July 1 1867. these rules were given o the governor of new federal nation. it was made like the British style of parliament that includes a House of Commons and a senate. 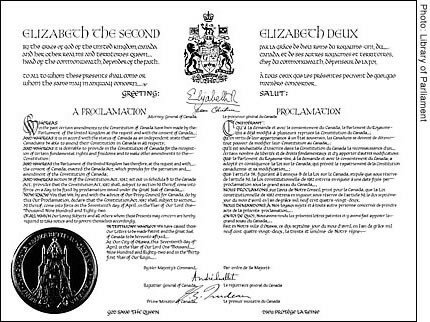 we now name the British North America act the Constitution Act. Ontario, New Brunswick, Quebec, Nova Scotia were enact by the Constitution Act. The Napoleonic Code is the French civil code made by Napoleon in 1804. This code did not allow privileges that had to do with birth,allowing freedom of religion and that only people who are qualified can get a government job. The Napoleonic Code came to use on March 21 1804. This was made because the old feudal and royal laws were confusing and didn't make much sense to the people. there were laws for all type of different things . For example women were not a lot to trade chattels or property by herself is had to be done with her husband. Other things he did was made more strict divorce laws and gave fathers the power to be the ruler of their homes. lastly he tried to make education better for children but did not work so good so he tried to start making private schools. 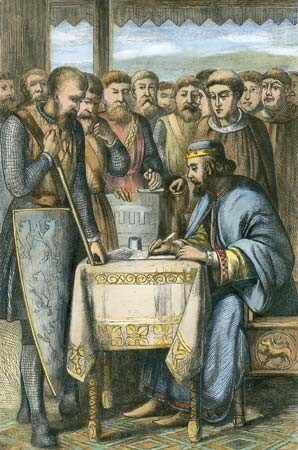 This is a picture of King john being forced to sign the Magna Carta at Runnymede at Windsor castle. This is a picture of the paper that had all of the agreements and was also signed by Queen Victoria for the British North America Act. 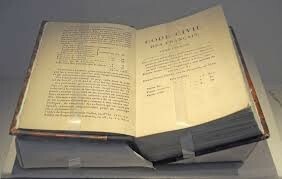 This is a long book on the code of napoleon which contains all the laws that were set. 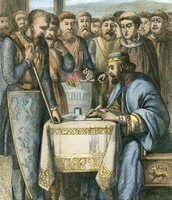 King John was born in 1167 and died in 1216. Like William I, King John is one of the more controversial monarchs of Medieval England and is most associated with the signing of the Magna Carta in 1215. The British North America Act, now called the Constitution Act 1867, is one of the base documents of the Canadian constitution.